"Nothing beats a simple hamburger on a warm summer evening! Ground beef is blended with an easy to prepare bread crumb mixture. Pile these burgers with your favorite condiments, pop open a cool drink and enjoy!" In a medium bowl, whisk together egg, salt and pepper. Place ground beef and bread crumbs into the mixture. With hands or a fork, mix until well blended. Form into 4 patties approximately 3/4 inch thick. Place patties on the prepared grill. Cover and cook 6 to 8 minutes per side, or to desired doneness. Try this recipe for simple, on-the-grill burgers. Tasteless. 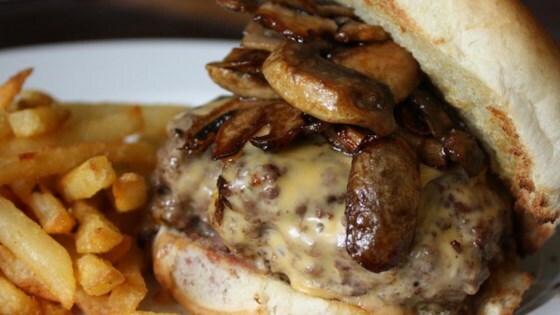 Just add your favorite seasonings to the meat and a little liquid smoke for the perfect burger. Easy, quick, and tastes great!